Awnings often serve a greater purpose than simply being a protective shield against the elements. An end user may want an awning that is an architectural statement, signage for advertising, or an intriguing way to capture people’s attention. Fabric awnings offer significant advantages, including lower costs, customization, styling and aesthetic considerations, and flexibility. Fabric awnings come in a wide variety of colors, with more than 200 selections, and also serve as a branding opportunity when you add your logo or message. The use of fabric provides endless customization options and unique styling opportunities that can also mimic the industrial feel of metal. 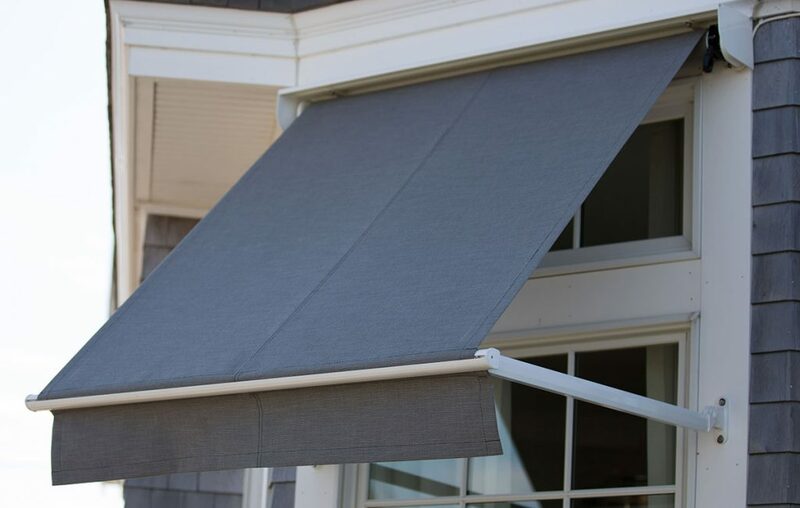 An awning produced with fabric provides soft, high-end appeal while also offering fully functional shade and protection from the environment. Certainly, metal has a space in the awning market and is the right product for many applications. However, incorporating fabric into the design as a replacement for the metal pans used today or in other creative ways creates an opportunity to add color, refresh brands, add curb appeal, and enhance the experience from underneath the structure. Some companies today are innovating in this way, finding the balance of function, style, and value for the end user. Trivantage® offers the additional benefit of an industry-leading 10-year warranty for fabric awnings, but even if it’s time to replace an older awning, most architectural fabrics are recyclable. For more information on fabric awnings, please visit Trivantage.com or contact customer service at 1-800-786-1876.